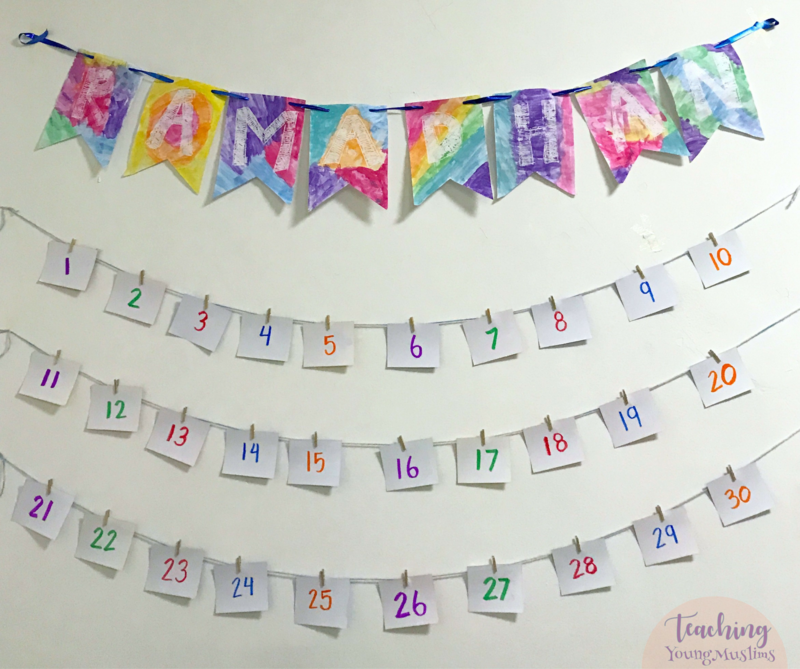 Our Ramadhan decorations are up! This year, I wanted to involve my daughter in creating the banner, so I wrote out the letters in white crayon and we painted over them with watercolors. For our daily activities this year, I decided to use the flashcards from Parenthood Muslim Style, thanks to a recommendation from Nurturing Nusaybah. I cut them out, put numbers on the back, and put them on the wall using yarn and clothespins. 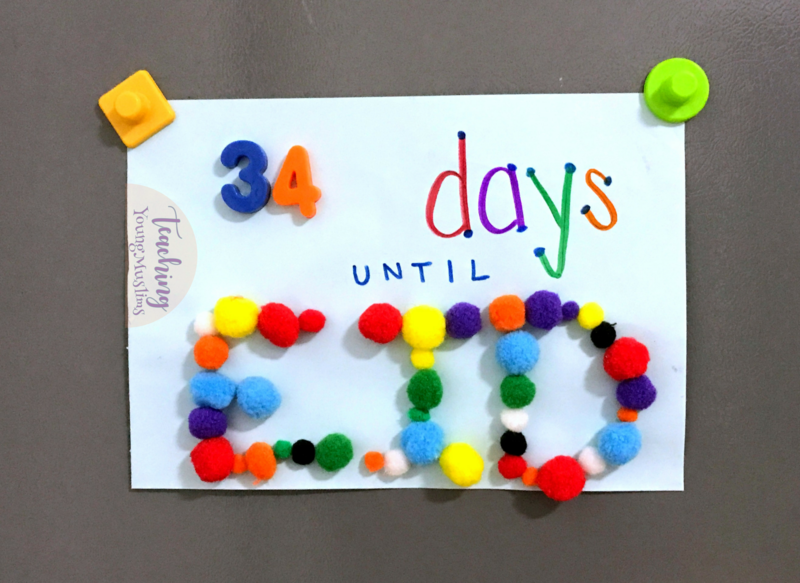 My daughter loves countdowns, so I decided that she could keep track of her own countdown to Eid this year with her magnetic numbers. I put liquid glue on the letters and she arranged the pompoms on it herself. We stuck the countdown on the fridge, and she’ll count the number of days on the calendar herself and change the magnets daily. What decorations have you put up this year? I’d love to see!